Nintendo has debuted a new line of interactive build-and-play experiences designed to inspire kids and those who are kids-at-heart. 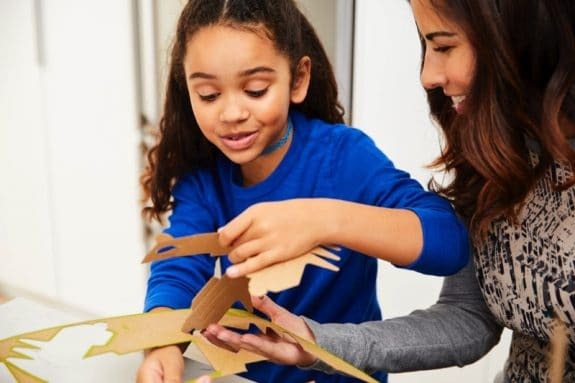 Nintendo Labo pairs with the Nintendo Switch system (sold separately), to provide the tools and technology to allow kids to make fun DIY creations and play games with their creations. 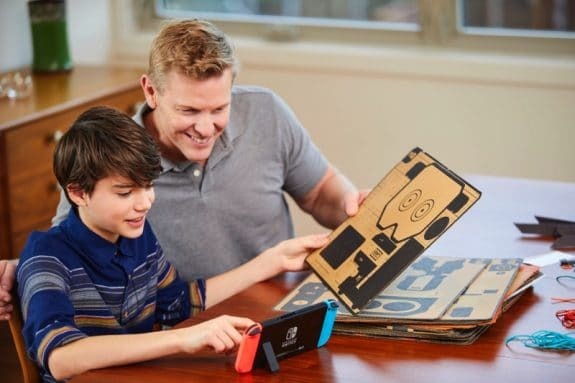 Each Nintendo Labo kit is specially designed to interact with the Nintendo Switch console and Joy-Con controllers . From a piano to a motorbike, a robot and more, each Toy-Con comes to life when combined with Nintendo Switch in different ways. As kids build, they will have fun discovering how the technology works. With Nintendo Labo half excitement is building. Once built, kids can customize their creations with their own markers, stickers and paint. Nintendo Labo will launch on April 20 with two kits: the Variety Kit and the Robot Kit. The Variety Kit includes two Toy-Con RC Cars, a Toy-Con Fishing Rod, a Toy-Con House, a Toy-Con Motorbike and a Toy-Con Piano. With the Robot Kit, kids can build an interactive robot suit with a visor, backpack and straps for your hands and feet, which can be worn to assume control of a giant in-game robot. 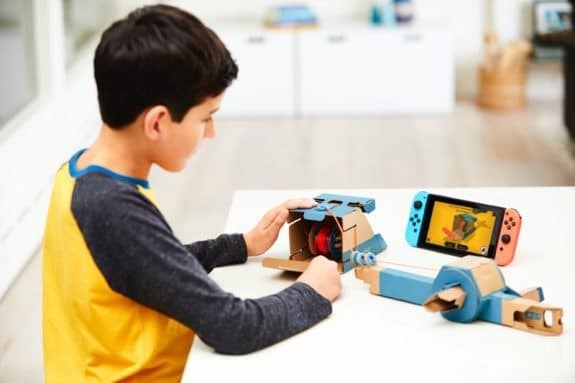 Both kits include everything kids will need to assemble their Toy-Con creations, including the building materials and relevant Nintendo Switch software. A special Customization Set that includes fun stencils, stickers and colored tape will also be available to purchase on April 20. 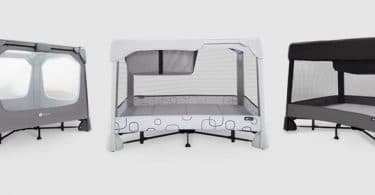 4Moms Debuts Two New Breeze Playards!